It's a bit brisk this morning. I popped outside to see if the lilacs survived the frost - they did! I can inhale their scent all day long. 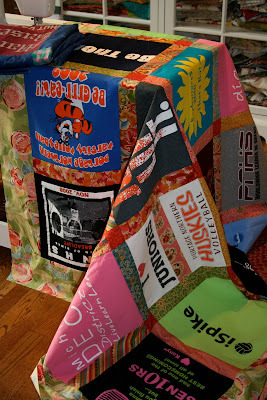 I was able to get two t-shirt quilts completed yesterday to make my end of month dead-line for the quilter. Why do I always wait until the last minute and make myself crazy? One of the quilts I made was for a girl and I really liked the way it came out. One thing I like about custom orders is that it allows me to use fabric I might not normally choose for myself. 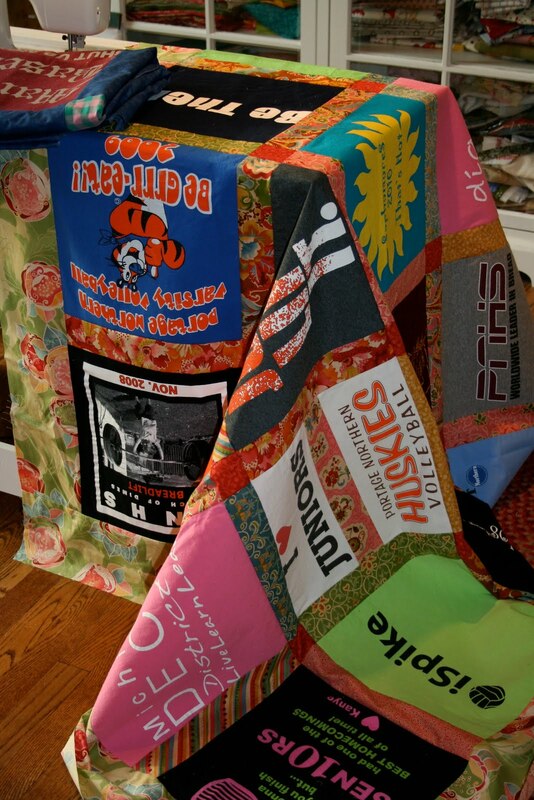 This quilt used a combination of Charisma and Boutique from Chez Moi. Very fun, bright, happy colors. Now I have a little pile of binding awaiting the return of the quilts from my quilter friend, Mary. I'm really looking forward to it. I am one of those quilters who likes doing binding. Nothing like a little hand stitching to calm the nerves and allow contemplation of one's life, not a bad thing at all. So glad you lilacs survived. May I ask a question about quilting tshirts? Do you use a stabilizer? Do you have a set of instructions on how to piece one together? Another binding gal here! I love visiting with my family in the evening while stitching on bindings! Cute quilt! 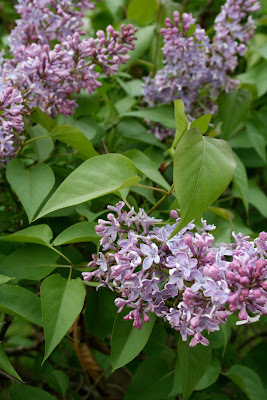 Our lilacs have already come and gone - sure do wish they lasted longer! I too, love doing the binding. Anything handwork I look forward to. Great fabrics for a colorful tee shirt quilt. Hi Renee, so nice to meet another Renee. Thank you so much for coming by my blog. I'm new to this and learning how to find my voice. I will be back here for sure. Right now I have to go pick the little one up from school. Can't wait to explore some more. 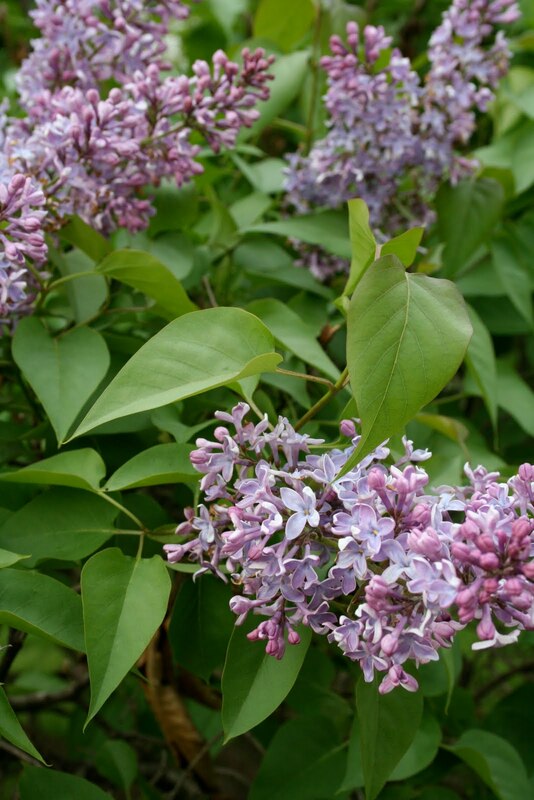 Very pretty..and the heavenly aroma of lilacs....indeed, ALL DAY long! How fun is that quilt!!! The fabric she chose is really cute. What is it about fabric that can make a girl swoon? Can't wait to see what you make next. ps...I really like doing the binding as well. Very pretty colors. I think I got some chez moi fabric the other day.